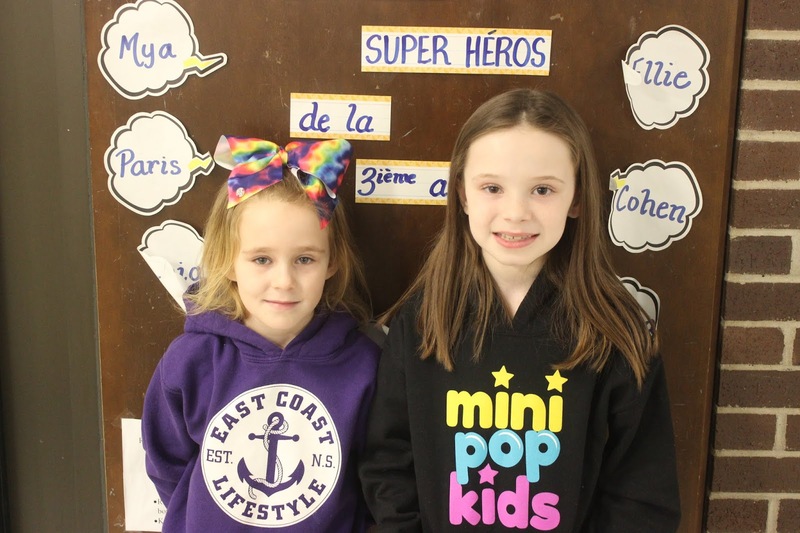 An illustration created by Grade 3 students Allie Hallihan and Mya Underhill was selected to appear in a book that will be published this spring. Both young artists students love to draw and were very excited when they heard the news in February. Their teacher Mrs. Lindsay Turner was informed of the illustration challenge by Vice Principal Mrs. Angela Moody. "I asked if anyone in the class had any interest in participating. Allie and Mya jumped at the chance, and they started the project right away," Turner explained. "Although we don't have a copy of the actual drawing as it was submitted. They drew the theme chinchilla in great detail," Turner added. Turner knew that both the girls enjoyed drawing, and she said, "they possess great talent for eight year olds." "They completed it together, without any assistance from peers or teachers. They came up with the idea themselves and how they wanted to organize it and their end result reflected that," she added. The illustration challenge was organized by "5210 A Way of Life." According to the website, it "is an initiative that partners with communities across the Northumberland County to promote healthy behaviours." It centres around the vision that "Northumberland County lives, works and plays in an environment where the healthy choice is the easy choice." For more information, visit the 5210 website.